When it comes to cold ice cream and Popsicle’s on a hot summer day, just like my kids, I can never say no. But this year, I have decided to act like an adult. 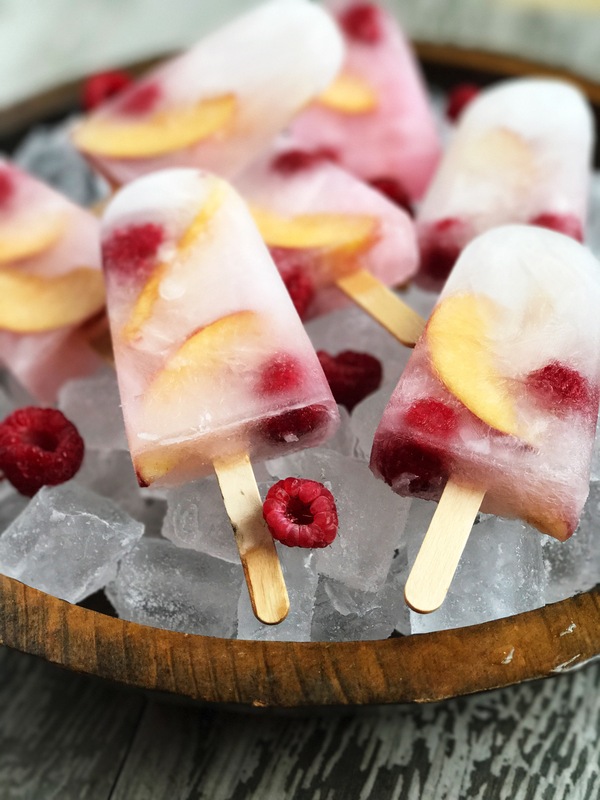 Introducing my Peach Schnapps Popsicles with Frozen Raspberries, another fun summer creation in my adult line of summer Popsicle’s. If you love the flavor of sweet peaches, you will absolutely LOVE these! 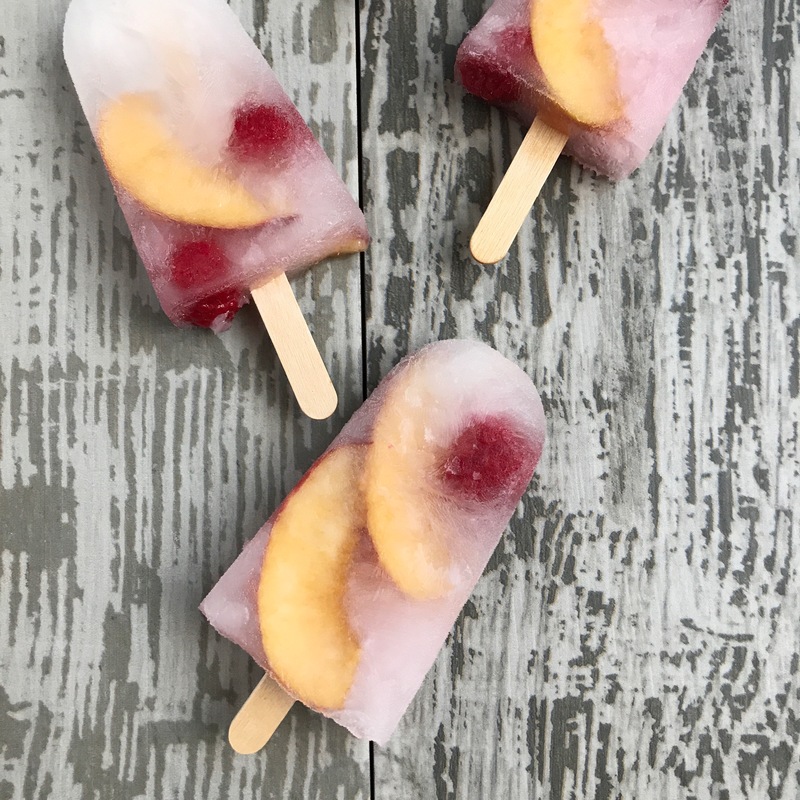 Made with five simple ingredients and bursting with flavor, these unassuming frozen treats are packed with the taste of fresh sweet peaches and just a touch of sour raspberries. Yes, they are pretty fabulous! They will make really fun before or after dinner treats for your next adult dinner party. Also, try my Strawberry Mint Lemoncello Popsicle too. Here’s to a great summer! 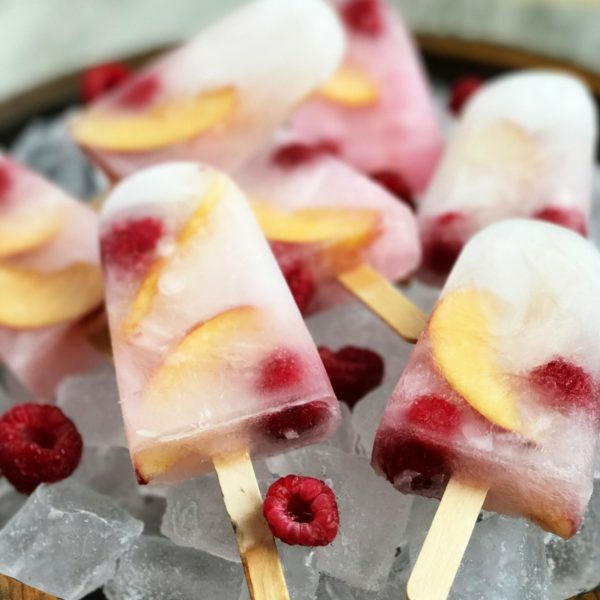 This Peach Schnapps Popsicles with Frozen Raspberries are made with five simple ingredients and bursting with flavor. In a small pan, bring water and sugar to a boil. 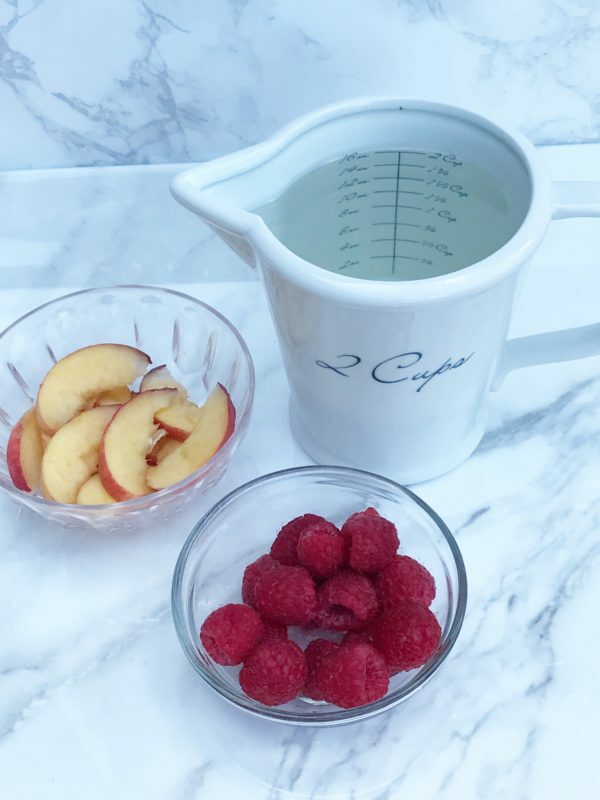 Pour into a container that has a pour spout. Add peach schnapps and stir to combine. 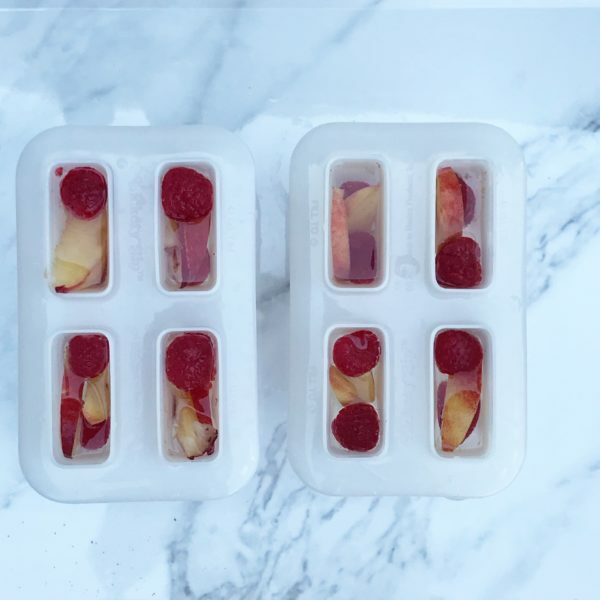 Place 2 peach slices and 2 raspberries in each popsicle mold. 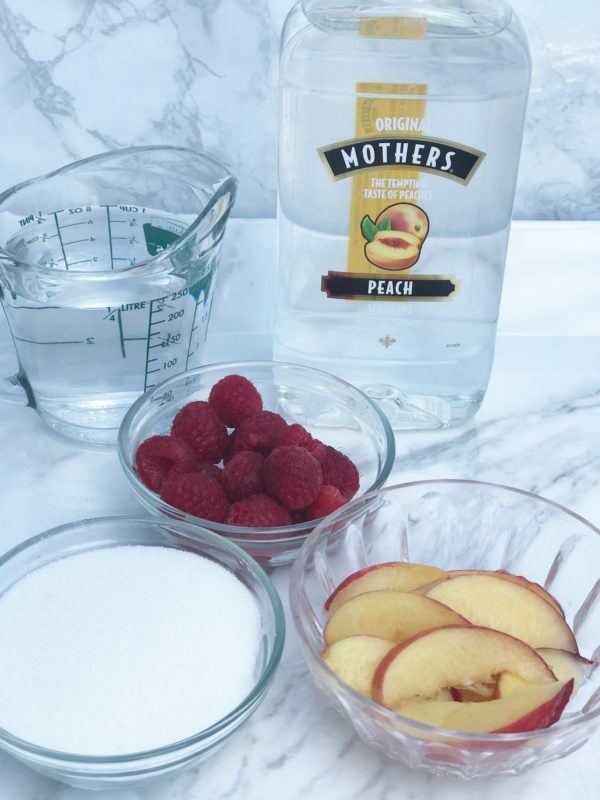 Gently, pour peach schnapps mixture into each popsicle mold until it reaches just below the top of the mold. Cover with top and add popsicle sticks. Transfer to freezer and freeze 4 hours or until you are ready to serve.